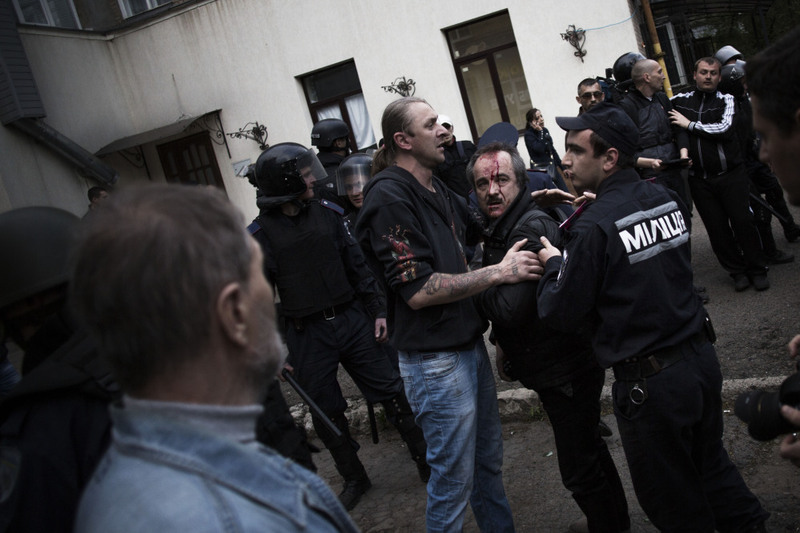 The individuals are believed to be stoking instability in eastern Ukraine. MANILA, Philippines — The United States imposed new sanctions Monday on seven Russian government officials, as well as 17 companies with links to Vladimir Putin’s close associates, as the Obama administration sought to pressure the Russian leader to de-escalate the crisis in Ukraine. The U.S. sanctions were implemented in coordination with the European Union, which moved to slap visa bans and asset freezes on 15 individuals alleged to be involved with stoking instability in eastern Ukraine. The new penalties were a response to what the West says is Russia’s failure to live up to commitments it agreed to under an international accord aimed at ending the dispute. The White House says Russia’s involvement in the recent violence in eastern Ukraine was indisputable and warned that the U.S. and its partners were prepared to impose deeper penalties if similar Russian actions continue. Among the targets of the new sanctions is Igor Sechin, the president of state oil company Rosneft, who has worked for Putin since the early 1990s. Sechin was seen as the mastermind behind the 2003 legal assault on private oil company Yukos and its founder Mikhail Khodorkovsky, who at the time was Russia’s richest man. The most lucrative parts of Yukos were taken over by Rosneft, making it Russia’s largest company. Rosneft has a major partnership deal with ExxonMobil. In addition to the new sanctions, the U.S. is adding new restrictions on high-tech materials used by Russia’s defense industry that could bolster Moscow’s military. Obama has been building a case for this round of penalties throughout his trip to Asia, both in his public comments and in private conversations with European leaders. The new sanctions are intended to build on earlier U.S. and European visa bans and asset freezes that were imposed on Russian officials, including many in Putin’s inner circle, after Moscow annexed the Crimean Peninsula from Ukraine last month. The new sanctions were milder than many in Moscow had feared. They did not affect any public companies or major sectors of the economy, and the Russian RTS index jumped 1 percent on the news. Reflecting relief that state banks had not been targeted, Sberbank’s stock was up 5 percent. Shares in gas giant Gazprom rose more than 2 percent when chief executive Alexei Miller was unexpectedly left off the list. On the U.S. list were Alexei Pushkov, the Kremlin-connected head of the international affairs committee of the Russian Parliament’s lower house, Russian Deputy Prime Minister Dmitry Kozak and Sergei Chemezov, another longtime Putin ally. The White House said Putin has known Chemezov, CEO of the state-owned holding company Rostec, since the 1980s, when they both lived in the same apartment building in East Germany. Most of the 17 companies on the list are controlled by three businessmen with close links to Putin: Gennady Timchenko, and brothers Boris and Arkady Rotenberg, all of whom were targeted by the first round of U.S. sanctions imposed in March. One of the companies Timchenko owns is Stroytransgaz, a construction company that has amassed millions in contracts to build oil pipelines for state-owned Transneft. The company has recently expanded and won lucrative deals to build highways and soccer arenas for the 2018 World Cup in Russia. None of the 17 is a public company. The European Union did not immediately release a list of the individuals targeted by its measures, which were awaiting formal approval from the bloc’s national governments. U.S. officials said they did not expect the two lists to be identical. Neither the U.S. nor Europe plans to announce broader sanctions on Russia’s key industries this week, though Obama said they were keeping those measures “in reserve” in case the situation worsens and Russia launches a full military incursion into eastern Ukraine. Among the targets of those so-called sector sanctions could be Russia’s banking, defense and energy industries. White House officials say they decided last week to impose additional penalties after determining that Russia had not lived up to its commitments under a fragile diplomatic accord aimed at easing the crisis in Ukraine. But the U.S. held off on implementing the sanctions in order to coordinate its actions with Europe. The EU is Russia’s biggest trading partner, giving it much greater economic leverage over Moscow than the U.S. However, the EU treads more carefully in imposing sanctions since Russia is also one of its biggest oil and gas suppliers. 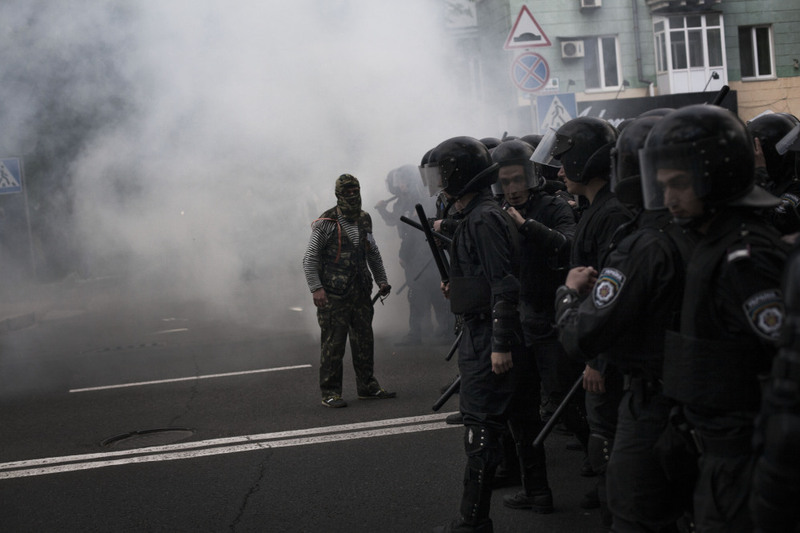 The failed diplomatic agreement reached in Geneva just over a week ago called on the Kremlin to use its influence to persuade pro-Russian insurgents to leave the government buildings they have occupied in eastern Ukraine. Those forces have not only balked at leaving the buildings, but also have also stepped up provocations, including capturing European military observers and parading them before the media Sunday. U.S. officials said there is evidence that those observers have been abused while in custody. Associated Press writers Josh Lederman in Washington and Lynn Berry in Moscow contributed to this report.